TechHR is not merely an event. It's a movement of sorts. It brings together the best of businesses, HR Leaders, HR Product & Service experts and HR Technology partners & start–ups from around the globe. It presents a perfect opportunity to network with 1000+ delegates and explore the contemporary ultra-modern trends and solutions in the industry. Be a part of this path-breaking event to make an impact - on businesses, people and brands! The complete ecosystem of HR & Business Leaders, practitioners, service providers, HR tech start-ups and investors will come together to deliberate, debate and share insights, perspectives & best practices. After all it is about taking advantage of the best technology that is available to build the future of work. Chief People Officer Charoen Pokphand Group Co.,Ltd. 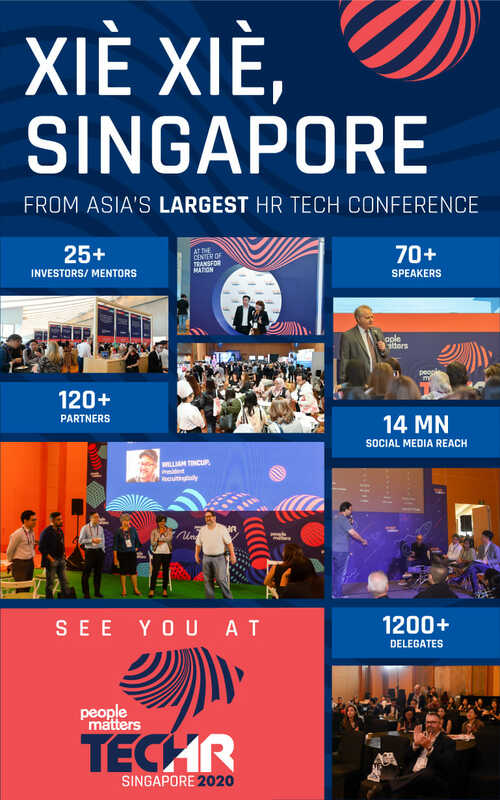 People Matters TechHR Start-up Program invites early-stage start-ups in the HR technology space to take the full opportunity and interact with investors, buyers and their peers during People Matters TechHR Conference Singapore and exhibit to the decision makers in the space of HR. You will get a chance to participate in the conference, showcase at the Startup Zone, meet investors one-2-one, attend exclusive masterclasses and your product will be covered exclusively in People Matters channels. To be selected for this program, you need to apply below. Contact us for more information.